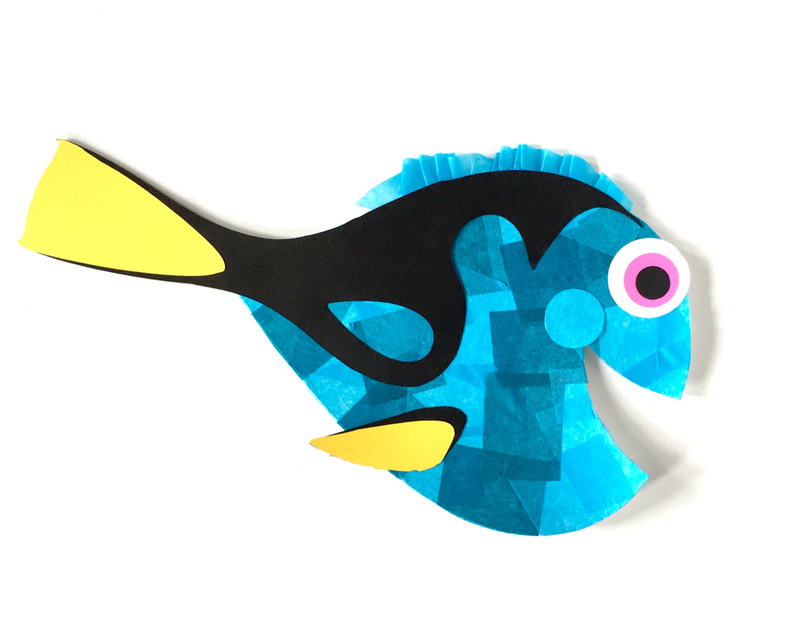 I made my Dory with these cutouts, but you can get creative and make your own patterns if you'd like. Step 1. 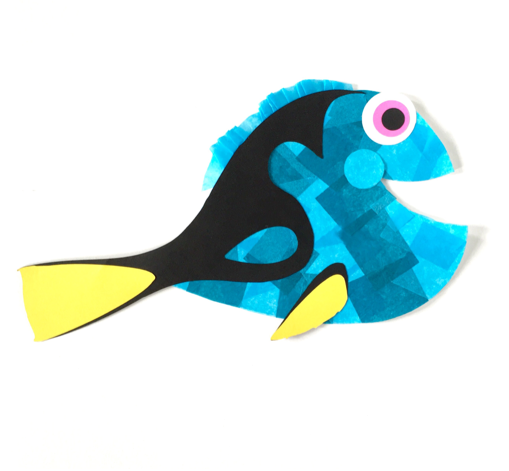 Download my pattern file and cut out all of your shapes. 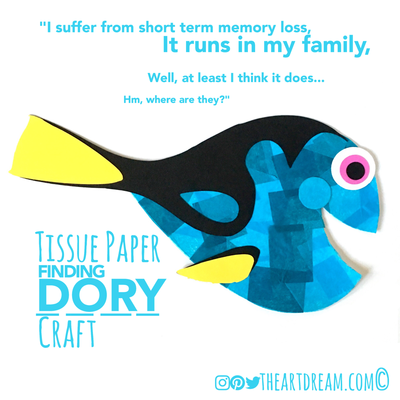 I recommend using white cardstock to print on. Step 2. Cut up some blue tissue paper into about 1 1/2 to 2 inch squares. 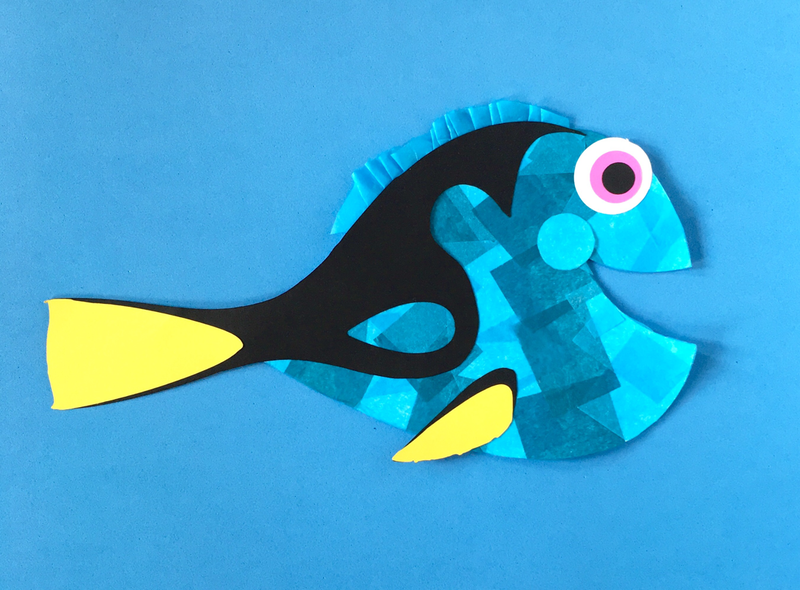 Bigger pieces for little fingers and smaller squares for older kids. Step 3. 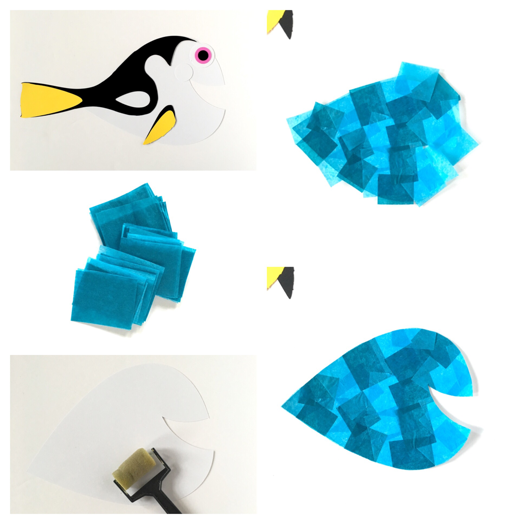 Pour some glue into a paper plate and use the mini roller to apply glue to the body. Next start glueing on your tissue paper. Don't forget the circle for the cheek! Step 4. Add the rest of the details to Dory. Step 5. 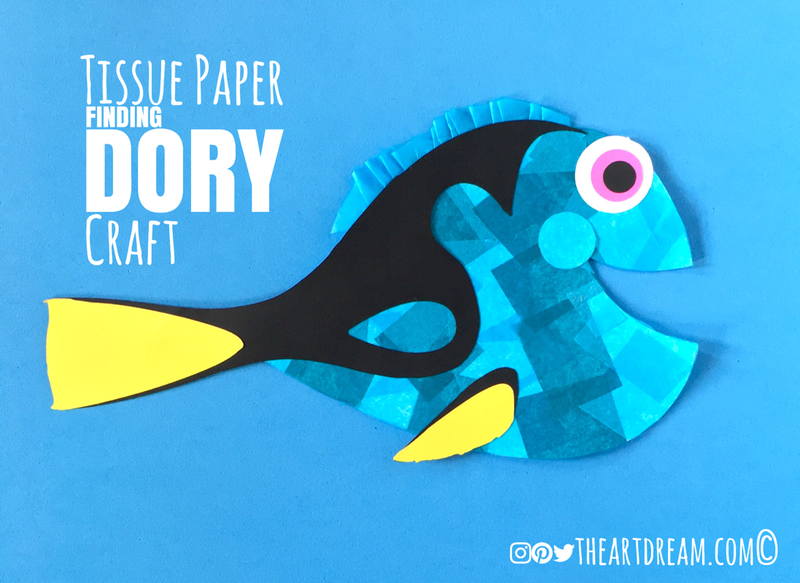 Create the dorsal fin with a long piece of tissue paper. Remember to "just keep swimming"!